Regal brand cat food is manufactured by the U.S. Grain Company, which was first founded in 1974. The U.S. Grain Company was initially developed to produce premium-grade horse feed designed for the nutritional requirements of race horses. In 1991, the U.S. Grain Company began development on a super-premium line of pet foods for dogs and cats. In 1992, the Regal Pet Food line of products was launched, as were their dry pet food formulas. In 1994, Regal Pet Food canned formulas were released. Currently, the U.S. Grain company manufactures their products in North Dakota, Minnesota, Michigan, Ohio and Colerado. As of current news, there are no Regal brand cat food products on the FDA's pet food recall list. Regal brand cat food is currently available in three different dry cat food formulas, and there are currently no canned cat food formulas available. The protein contained in Regal brand cat food formulas comes from six sources, as stated by the company: Turkey, Egg, Chicken, Herring, Chicken Liver and Corn Gluten. Oat Bran and Beet Pulp represent the two sources of fiber in Regal brand cat food formulas. Regal cat food does not contain any by-products. Regal's dry cat food formulas are currently available in a 4lb bag, and a 16.5lb bag. 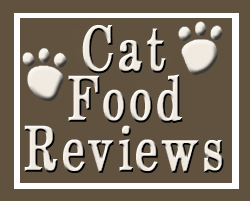 Regal Cat Bites dry cat food formula is suitable for all adult cats. The first five ingredients of this formula are Turkey Meal, Chicken Meal, Rice Flour, Ground Corn and Chicken Fat. Other ingredients include Oat Groats, Egg Product, Corn Gluten, Herring Meal and Brewers Yeast. The Guaranteed Analysis of this formula contains 30% Protein and 18% Fat. Regal Kitten dry cat food formula is designed for kittens up to one year of age, though can also be fed to pregnant or nursing adult cats. The first five ingredients of this formula are Turkey Meal, Chicken Meal, Rice Flour, Chicken Fat and Ground Corn. Other ingredients include Herring meal, Poultry Digest, Fish Oil, Flax Seed and Canola Oil. The Guaranteed Analysis of this formula contains 33% Protein and 21% Fat. Regal Lean Cat dry cat food formula is suitable for adult cats that require a diet that has a lower fat content. The first five ingredients of this formula are Turkey Meal, Rice Flour, Ground Corn, Potato Product and Pearled Barley. Other ingredients include Natural Flavor, Egg Product, Fish Meal, Vegetable Oil, Salt, Biotin and Brewers Yeast. The Guaranteed Analysis of this formula contains 28% Protein and 7% Fat. Consumer reviews are slightly mixed in reference to Regal brand cat food. The inclusion of Poultry Digest and corn ingredients was not very well received, as more cat owners are looking for a completely corn-free diet for their cats. However, the fact that the first ingredient in all three of Regal's dry cat food formulas is protein-based is a positive factor. The inclusion of white rice products in all three formulas may not be ideal for cat owners who wish to feed their cat a grain-free diet.